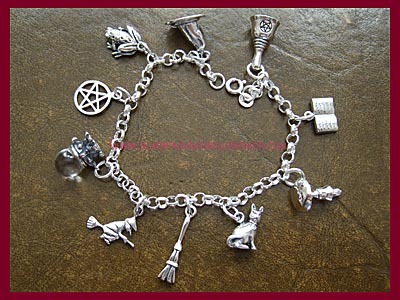 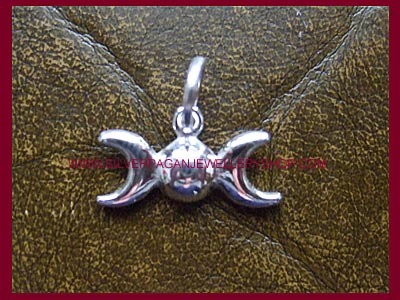 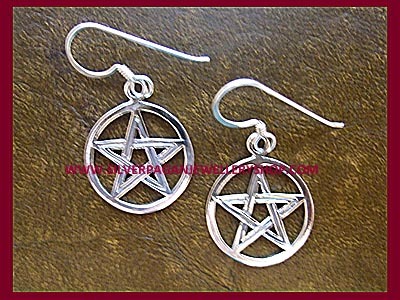 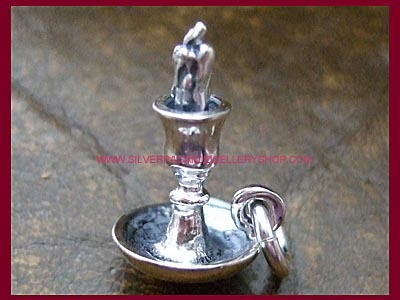 Fantastic sterling silver Witchy Charm Bracelet for Pagans and Wiccans. 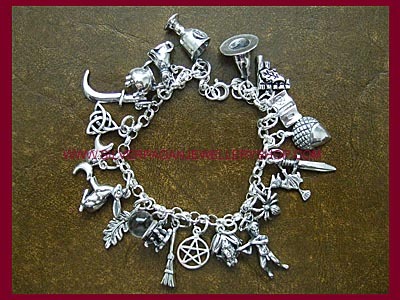 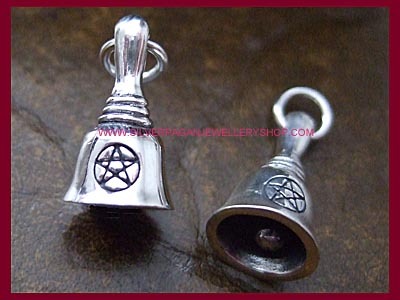 The sterling silver Charm Bracelet has 8 sterling silver charms attached: a pentagram, a witch, a besom broom, a chalice with pentagram, a book of shadows with pentagram, a triple goddess triquettra, a cauldron and a witches hat. 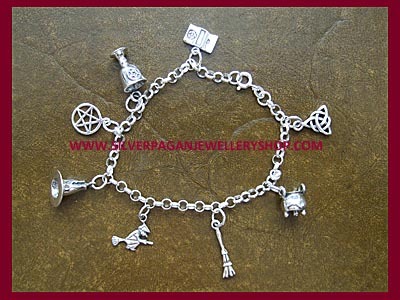 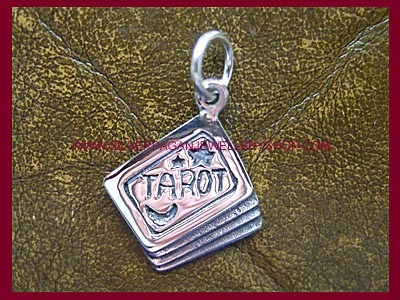 Available on a 7", 7.5" or 8.5" sterling silver charm bracelet. 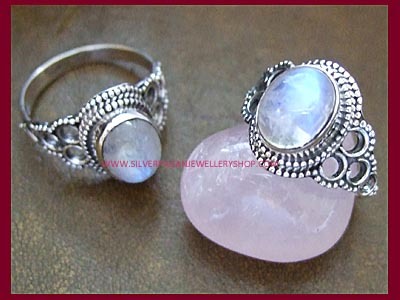 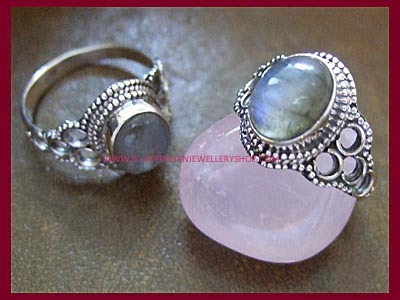 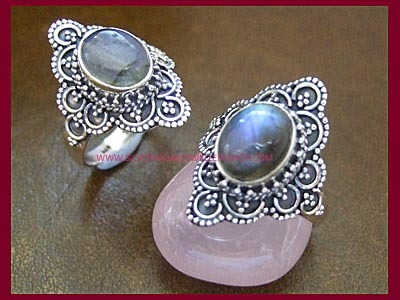 If you require a longer length please contact us and we can extend the bracelet for you.